The Affordable Care Act (ACA) opened a gateway to address mental health issues in every sector of our society and strengthened the Mental Health Parity Law by calling for the provision of equal treatment of mental health conditions and substance use disorders by health insurance plans. “Toward a Healthier Nation: No Health Without Mental Health” examines three promising approaches embedded in the Affordable Care Act. 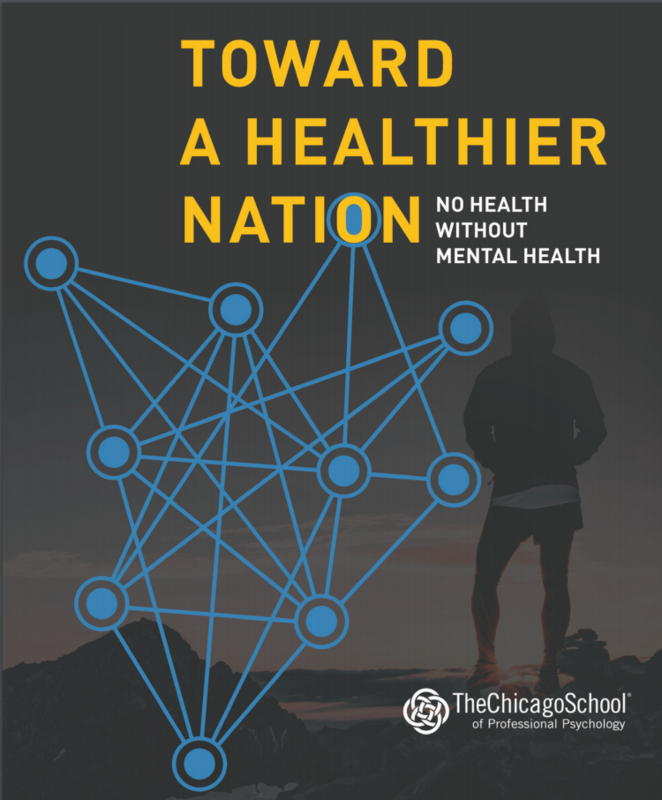 The report, authored by leading scholars and academicians at The Chicago School, identifies four real-life stories aimed to amplify the hidden impact of stress and cultural pressures on so many American families. We hope you take the opportunity to read the full report and discuss with your relatives, friends, and co-workers. We believe that “Toward a Healthier Nation: No Health Without Mental Health” will result in an expanded conversation involving the need for greater integration of health care systems and the imperative of increasing the use of inter-professional teams in treating patients holistically. This blog originally appeared in The Huffington Post on Oct. 31, 2016.